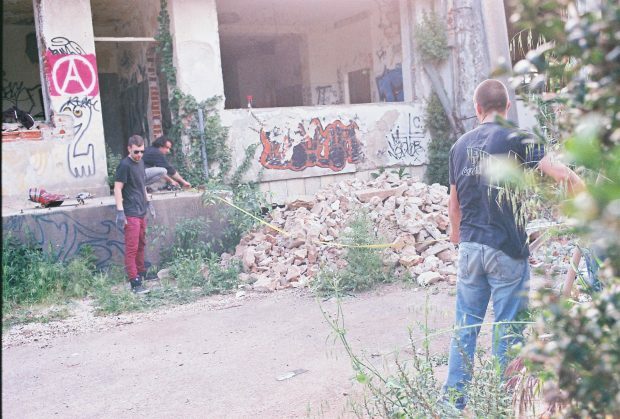 Menza Zadar is a DIY project started about 6 years ago in a abandoned military base in Zadar, Croatia. 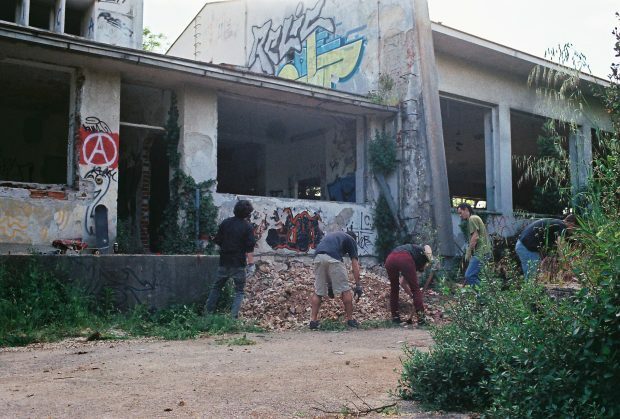 The place started when locals kicked us out of the /rhinoramps/ skatepark to build some parking spots. 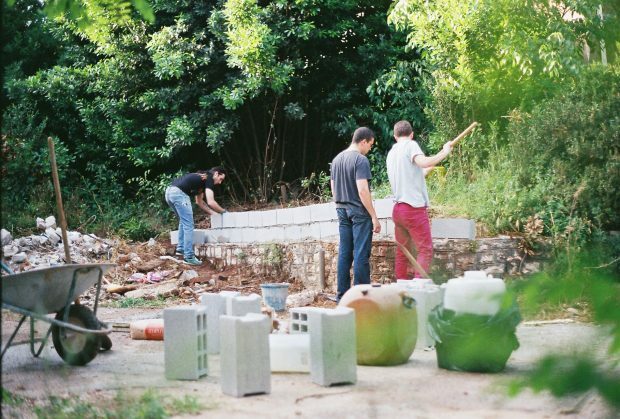 After cleaning the old base out we moved all of the skatepark elements inside and started building the rest of the park. 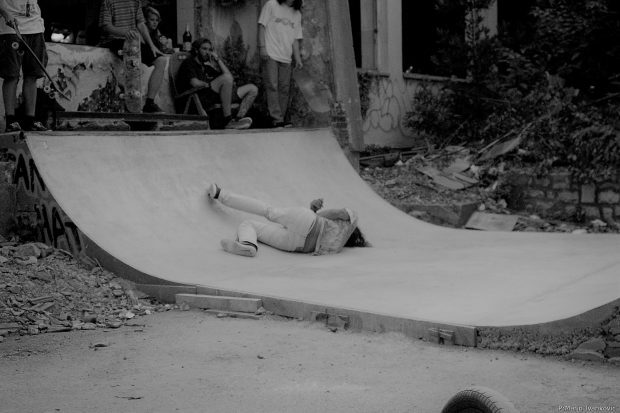 What started with a wooden box ended up with building a 4 meter long quarter, wallride, a bigger box and a rail. Since we had trouble with people dumping thrash and junkies leaving needles we closed the place leaving only one side open. 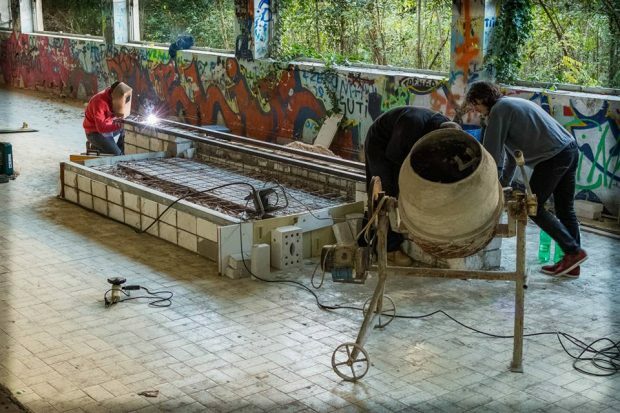 First bigger project was building a miniramp just by the entrance. 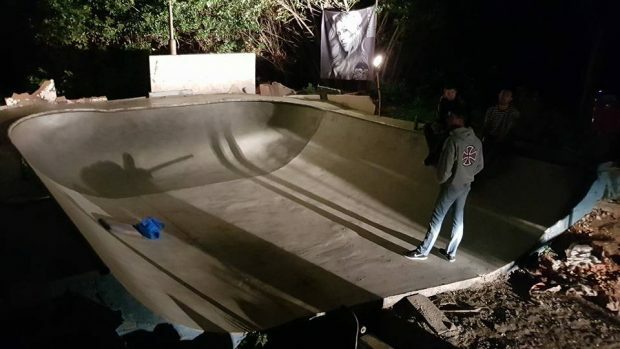 With the help from Chill Shop we managed to pour concrete in just two days, and since then we have been working hard on closing the miniramp and turning it into a bowl. With help from the local collective Nigdjezemska we often organize local bands and do benefit concerts and jams but that just does not cut it, money wise. That is why we started a GoFundme fundraiser. 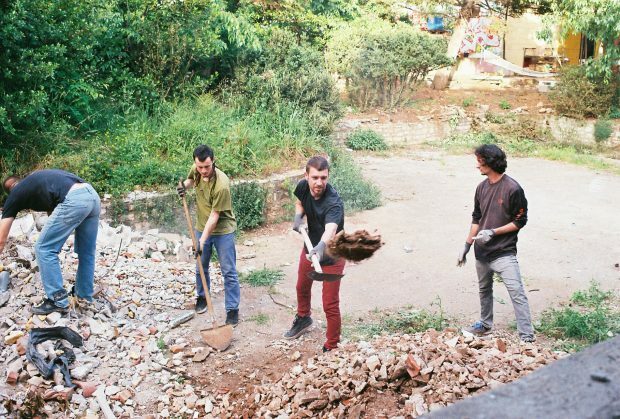 In order to finish the project we need about 2,500€ and every penny counts! It is worth noticing that our full length video, called Menza – Glavno jelo is coming out mid May, 2018. 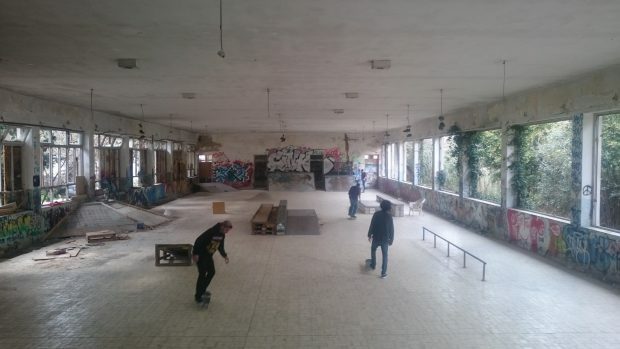 MENZA skatepark is a DIY project started by local skaters in the hall of an old communist era war base near the town center of Zadar, Croatia. 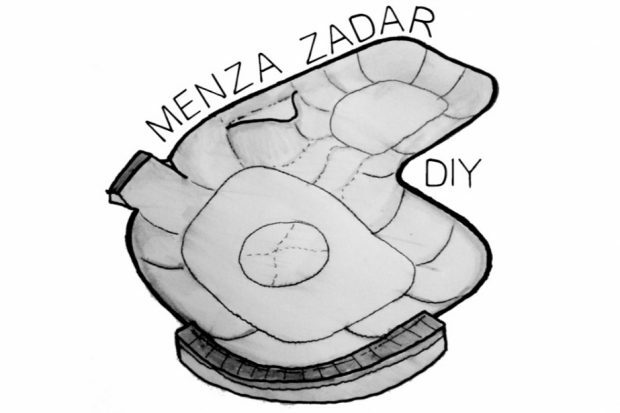 Please note that the part “rampa” has already been built and that “menza” is the indoor DIY skatepark.